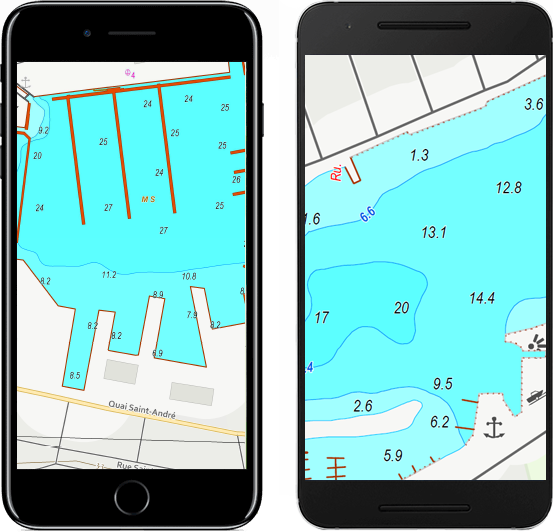 Level up your boating or fishing with our marine charts, complete with depths, hazards, lights, buoys, marinas and much more. Delivered the same day or next business day in PDF format by email directly to your iOS or Android smartphone. Get 50% off the printed version when you order the mobile version! Are you a TrakMaps retailer? A map of your area, truly made just for you, by you. With more than one million maps sold, we can deliver what you want. Delivered the same day or next business day in PDF format by email directly to your iOS or Android smartphone. With Avenza Maps, enjoy your map at home or in the great outdoors, even without network reception. Check out map examples below.